The Show-Me State aims to elevate its national profile through its Best in Midwest initiative to rethink its economic development strategy. A number of major expansions and relocations have been made in the past year, including a new headquarters for Save-a-Lot, an Amazon fulfillment center and a CVS retail distribution center. Missouri BUILD (Business Use Incentives for Large-Scale Development): Offers financial incentives for the location or expansion of large business projects in the state that invest a minimum of $15 million ($10 million for an office industry project) and create at least 100 jobs. Missouri Works: Offers multiple programs of achievable, flexible benefits and incentives for companies that create quality jobs in the state. Manufacturer Sales Tax Exemption: Offers an exemption on state sales tax for qualifying expenditures ranging on things such as machinery, materials, energy and water. 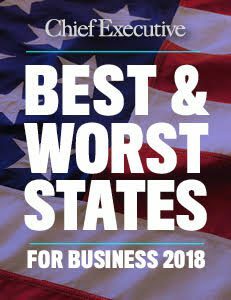 The Best in Midwest initiative was launched in April 2018 to create a new, statewide strategy for economic development led by the Department of Economic Development (DED). With the help of PwC, the DED will conduct a complete, top-to-bottom review of the economic development strategy, identify opportunities for growth and make recommendations for how the state can expand its potential. Automotive technology company Faurecia announced in February 2018 a $60 million production facility and more than 300 new jobs in Blue Springs. Nestlé announced in March 2018 it will purchase a line from Conagra Brand’s Trenton manufacturing facility and add 135 jobs. Amazon announced in March 2018 it will create more than 1,500 full-time jobs at a new fulfillment center in St. Peters. Save-A-Lot announced in April 2018 the start of construction of a165,000-square-foot headquarters in St. Ann. Financial services company Square announced in May 2018 an expansion of its operations in St. Louis with 300 new jobs. CVS Health opened a new retail distribution center with 360 new jobs in Kansas City in August 2018.